Providing instant online access to all of your legal activity. 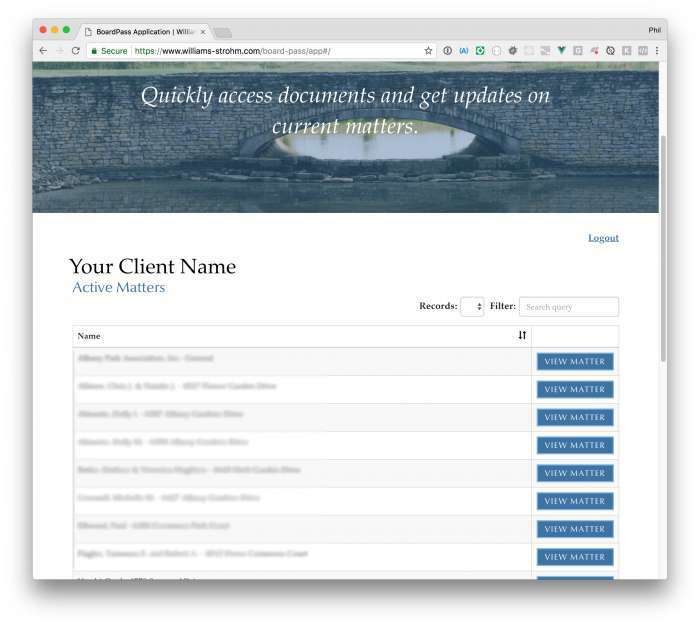 Association BoardPass is our free, online tool that provides all of our clients with instant access to their legal activity, including real-time status reports and valuable client-only information, in one centralized location. *For security reasons, visitors using Internet Explorer must use version 10 or newer. 2. Enter your login name and password. Please note that your login and password are case sensitive. Contact us if you need help retrieving your login or password. Simple, one-click logout located at the top of the Active Matters page. Your recent activity is already online. Every client we serve has their prior activity with us already loaded to Association BoardPass dating back to January 1, 2011. Any information prior to that date is not included on this site. If you need information prior to 2011, you can send a request directly from the “status updates” page by contacting us or by calling our office. 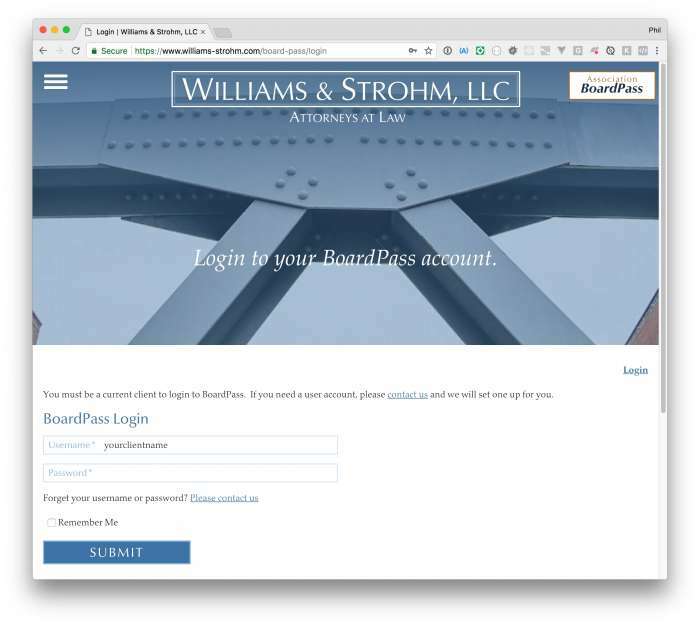 Whether you’re a new or existing client, be sure to obtain your login credentials so you can begin accessing your legal activity and receive valuable insight and information that we make available only to clients through Association BoardPass.